[Shocking video] Julian Assange dragged from embassy by London police! 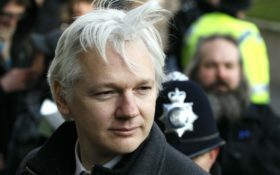 WikiLeaks founder Julian Assange was forcibly bundled out of the Ecuadorian Embassy in London and into a waiting British police van on Thursday, setting up a potential court battle over attempts to extradite him to the U.S. to face charges related to the publication of tens of thousands of secret government documents. “The discourteous and aggressive behavior of Mr. Julian Assange, the hostile and threatening declarations of its allied organization, against Ecuador, and especially the transgression of international treaties, have led the situation to a point where the asylum of Mr. Assange is unsustainable and no longer viable,” Moreno said in a video released on Twitter. 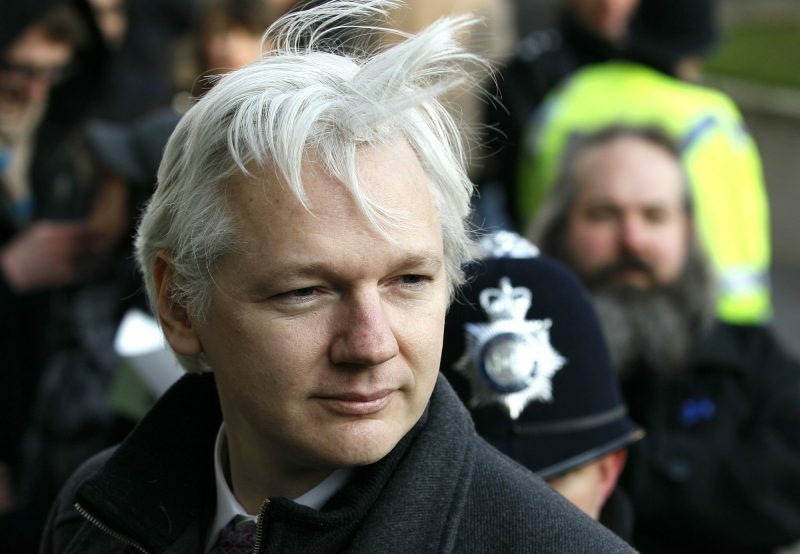 Assange took refuge in the embassy in 2012 after he was released on bail in Britain while facing extradition to Sweden on sexual assault allegations that have since been dropped. But he has been under U.S. Justice Department scrutiny for years for WikiLeaks’ role in publishing thousands of government secrets. He was an important figure in the special counsel Robert Mueller’s Russia probe as investigators examined how WikiLeaks obtained emails that were stolen from Hillary Clinton’s presidential campaign and Democratic groups. Assange had not come out of the embassy for almost seven years because he feared arrest and extradition to the United States for publishing classified military and diplomatic cables through WikiLeaks. Although Sweden has dropped the sexual assault case that first led to Assange’s arrest in Britain, U.K. authorities said he would be rearrested if he ever left the embassy because he skipped bail in the original case. Prosecutors in the Eastern District of Virginia have also inadvertently disclosed the existence of a sealed criminal complaint against Assange, although no details have been publicly announced. Video posted online by Ruptly, a news service of Russia Today, showed several men in suits around Assange, pulling him out of the embassy building and loading him into a police van while uniformed British police officers formed a passageway. Assange sported a full beard and slicked-back grey hair. Police said Assange had been arrested for breaching his bail conditions in Britain and in relation to a U.S. request. 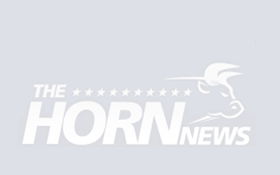 But Moreno appeared to suggest that a swift extradition to America was not likely. Assange’s arrest came a day after WikiLeaks accused the Ecuador’s government of an “extensive spying operation” against him. WikiLeaks claims that meetings with lawyers and a doctor inside the embassy over the past year were secretly filmed.